One of the exciting things about the growth of the NAU Wushu team is we will be bringing three group sets to collegiates! Everyone should be aware of which group they are in and should be communicating on where, when and what’s going on. Please keep in mind that a coach or senior student should assist with the creation of the group set and don’t be afraid to reach out and ask questions. Let’s get the creativity going and represent NAU Wushu at collegiates with our mad Wushu skills. Jiayou! 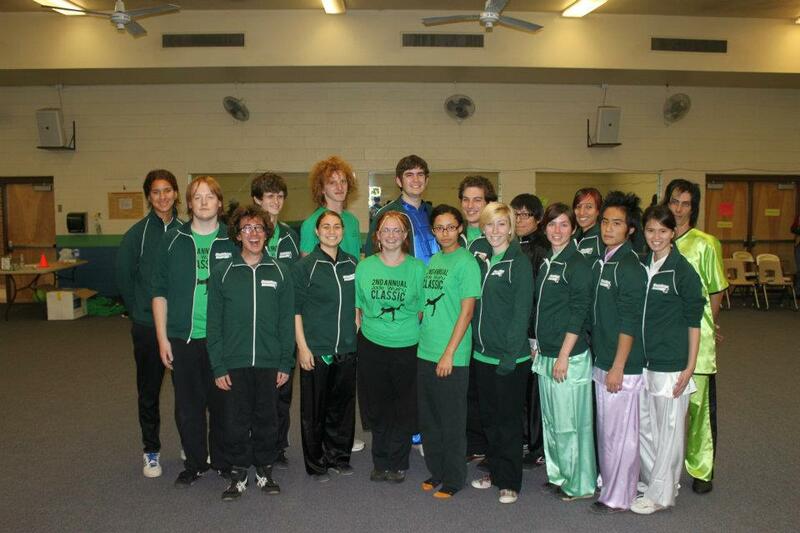 2nd Annual Jade Wushu Classic: A SUCCESS! Congratulations to all the competitors of the 2nd Annual Jade Wushu Classic today! Everyone did a great job and we are so proud of our team! We’d like to give a huge thank you to our family and friends who came out to spectate, your support means so much to us! The tournament also featured lion dance and demonstrations by Jake from Jade Moon Wushu Academy [nanquan] and Coach Dusty [double hook-swords]. 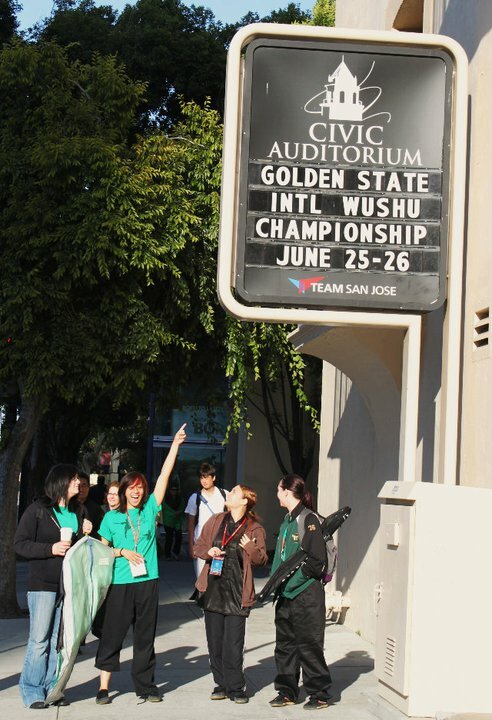 Thank you to everyone who participated and attended, we cannot wait for the 3RD Annual Jade Wushu Classic in 2012! See you then! The Classic is fast approaching! The 2nd Annual Jade Wushu Classic is only 6 days away! Competitors from NAU Wushu Team, Jade Moon Wushu Academy, and Eagar Wushu Academy will meet in Flagstaff to compete in traditional and contemporary wushu! The event is open to the public, registration is $20 for all events to competitors, and spectator fee is $5 for audience members. We hope to see you there! Good luck and JIAYOU! Jessica – Beginner Women’s Adult Longfist – 3rd place, Bronze! Lianna – Intermediate Women’s Adult Empty Hand [Snake] – 1st place, Gold! Intermediate Women’s Adult Open Weapon [Fan] – 1st place, Gold! Dusty – Advanced Women’s Adult Longfist – 1st place, Gold! Advanced Women’s Adult Short Weapon [Straight sword] – 1st place, Gold! Advanced Women’s Long Weapon [Spear] – 1st place, Gold! Advanced Women’s Open Weapon [Double Hookswords] – 1st place, Gold! Coach Robert – Advanced Men’s Adult Longfist – 1st place, Gold! Advanced Men’s Adult Short Weapon [Straight sword] – 2nd place, Silver! Advanced Men’s Adult Long Weapon [Spear] – 2nd place, Silver! Advanced Men’s Adult Open Weapon [Monkey Staff] – 1st place, Gold! Thank you to all of our family and friends for your support! It is hugely appreciated and we are grateful as always! Our next event is the NAU Wushu Summer Camp, to be held 6PM-10PM at Coach’s house, August 22nd-26th. Total cost of the camp is $25. Contact Dusty for more information and we hope to see you there! Congratulations to all our competitors, and the 2011 members of the US Wushu Team! The next tournament that the team will be traveling to is the ICMAC in Las Vegas, to be held at the Tuscany Suites and Casino August 12th-14th, 2011. Thank you for your support and we hope to see you there!